HitMenSongpluggers.com contracts with individual publishers and songwriters to represent music catalogs as an independent songplugger. 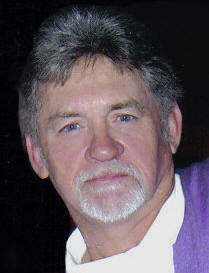 HitMenSongpluggers.com founder, Raleigh Squires, has been a successful songwriter and music publisher in Nashville since 1976 and started HitMen songplugging service in 1994. Using email and custom Web pages as primary tools to pitch songs, HitMenSongpluggers.com clients have received an average of more than 12,000 mp3 clicks per year over a three year period. Past activity for clients includes cuts by Brooks & Dunn, Joe Nichols, Sara Evans, George Strait, Patty Loveless, Mountain Heart, and Bonnie Raitt. Clients and catalogs represented include Right Bank Music, Bro N' Sis Music/Carlin America, Matt Lindsey Music, Notewrite Music, Brewman Music, Hadley Music, and songwriters Mark Simos, Randy Goodrum, Wil Nance, and Tony Arata. As a writer, Raleigh's own songs have been recorded by Willie Nelson, George Strait, Mel Tillis, The Oak Ridge Boys, The Kendalls, Vern Gosdin, Don Williams, Jim & Jesse, and the Flying Burrito Brothers.